CINCINNATI — Cincinnati is home to the first and only program in the country to offer high-school students daily, hands-on experience at an actual zoo (with actual zookeepers). But program leader Glen Schulte said he marvels at how few people in the region actually know about the Cincinnati Zoo Academy . The Cincinnati Zoo Academy was founded in 1975 through the Cincinnati Public Schools. Forty years ago, the vision was to create a vocational program with an emphasis on natural resources and wildlife management. Today, the academy has evolved into an Ohio career-tech program through which students can earn college credit through College Credit Plus — an Ohio program that allows students in grades seven through 12 to earn college credit while still in high school. The Zoo Academy is offered to juniors and seniors at Hughes STEM High School as one of the school’s four STEM majors. Students who enroll in the Zoo Academy can earn up to 13 college credit hours through articulation agreements with Cincinnati State Technical and Community College and University of Cincinnati Blue Ash College. The students spend half of each school day taking classes — on subjects including math, government, health, zoo and aquarium management, animal anatomy and physiology, plant and horticulture science, and environmental science — at the Cincinnati Zoo & Botanical Garden. The other half of the day is spent out on the grounds, working with zookeepers on a variety of tasks, from feeding animals to helping with conservation efforts to participating in research studies on the American burying beetle . 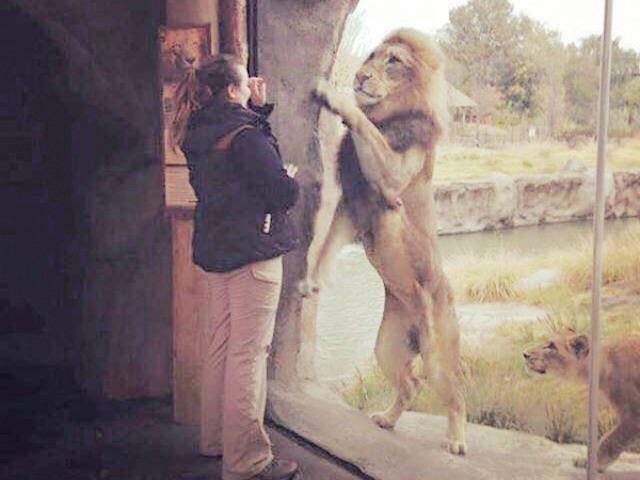 Tenoever, 17, said she didn’t expect to interact with the animals. “I thought it would be something where we’d be stuck doing dishes for the animals, but a lot of it comes down to how much you put in to show the keepers that you really want to be there,” she said. Tenoever said a typical morning includes making food for the animals in the zoo’s cat show (that includes domestic dogs, house cats, porcupines, warthogs, red river hogs and cheetahs) and cleaning out their stalls. Then, when the show is over, she takes the animals out of their stalls and spending time with them. “We just hang out with them and give them some attention,” she said. Tenoever is to graduate today with the rest of her Zoo Academy senior class. 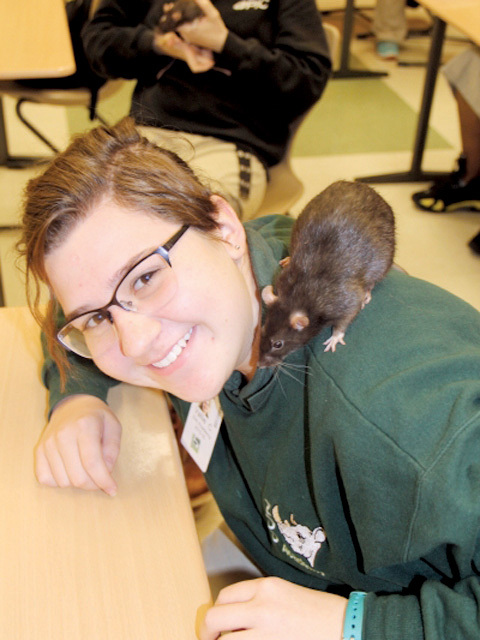 She plans to attend Trident Technical College in Charleston, S.C., this fall to study animal behavior. Schulte, whose formal title is Zoo Academy pathway manager, said the academy is a chance for high-school students to try out working at a zoo, which he feels is so important. Schulte has been with the Zoo Academy for close to 30 years, the past 15 as program leader. He said that, although there are now more than a dozen zoo academies across the country, none lets students work so closely with zookeepers as the Cincinnati Zoo Academy. Zoo Academy students spend more than 600 hours working with zookeepers over the two years they’re enrolled, Schulte said. Many students do decide, after that initial exposure, to change directions. Twenty percent of the zoo’s zookeepers are graduates of the Zoo Academy, he said. Of those who don’t decide to work at a zoo after graduating from college, there isn’t much of a trend as to which fields Zoo Academy graduates choose. Some do stay in animal care, such as owning a dog day-care or professional pet-grooming business, and some decide to go into completely different industries, such as computer science or special education. The program usually does have room for more students. Capacity is set at 25 juniors and 25 seniors, but Schulte said there typically are a few spots left unfilled. “We’re always looking for new, interested students who want to learn more about careers in the zoo and plant and animal care fields to determine if that’s what they want to do,” he said.